Before he was cast as the older son Barry in The Goldbergs, Troy Gentile played a small part in Entourage. 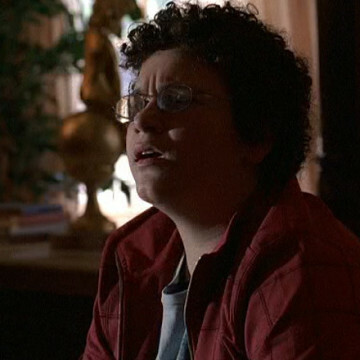 Troy portrayed Mitchell Levine, a son to Fran Drescher and Kevin Pollak’s characters, during the fifth season’s third episode, The All Out Fall Out. He is introduced about ten minutes into the episode and can’t be bothered to look away from his video game even as movie star Vincent Chase stands in his living room.